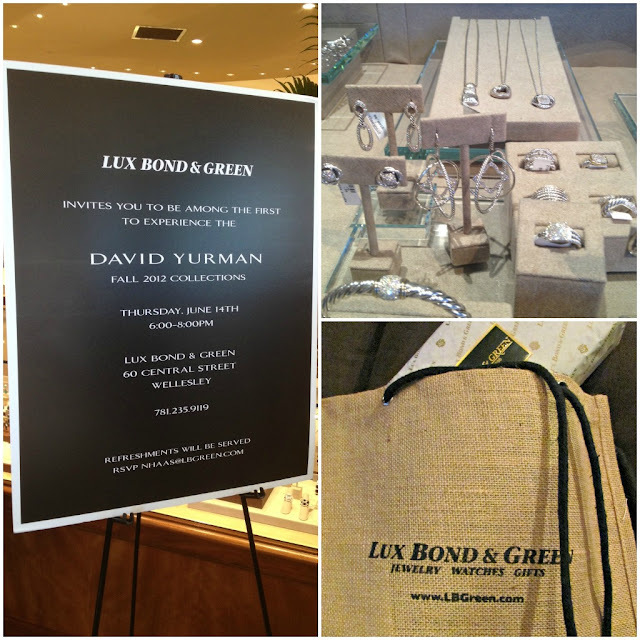 I was super excited to get an invite to the David Yurman Fall Collection sneak peek that was held last night at Lux Bond and Green in Wellesley, MA (a thank you to Shauna G). If you follow me on Twitter, I am sure you saw some tweets live from the event and maybe even an Instagram or two. 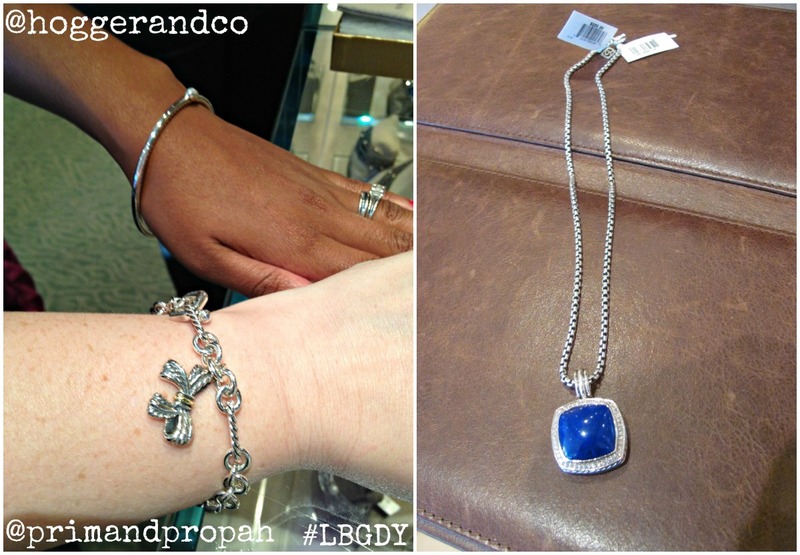 Being that I am just starting to get involved in local events and being Boston social, this was a great opportunity to meet some other fancy Boston area bloggers and also check out some amaze new David Yurman jewelry. And when I say amaze, I mean super amazing. Oh, and there were goodie bags. Lux Bond and Green is literally the first place in the Northeast to get a look at the line that won't debut/ be sold until this Fall. These pieces came straight from the Couture jewelry show in Las Vegas right into this fabulous jewelry store in the posh Boston 'burb of Wellesley. 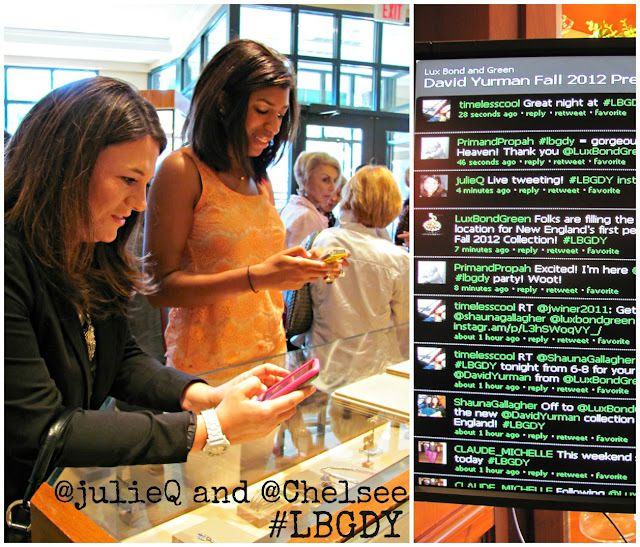 Boston bloggers and special invitees alike participated in a super fun Twitter party to bring attention to the fab David Yurman pieces, Lux Bond and Green and a super Boston event. Not only did we get to see some friggin' gorgeous jewelry, Lux Bond and Green made it quite the little party. Wine, catered snackies and giveaways made this Twitter party that much more fun... and guess who walked away with a David Yurman charm bracelet? That's right, yours truly. I finally met my girl Smita from Hogger & Co. and guess what? She won a bracelet as well. Word. In addition to winning the bracelet, I also found the next dreamiest piece of jewelry that I will be pining for... a blue lapis necklace with diamond details. Ugh, obsessed. Don't you wish you could have been there with me? Is there anything you have your eyes on? 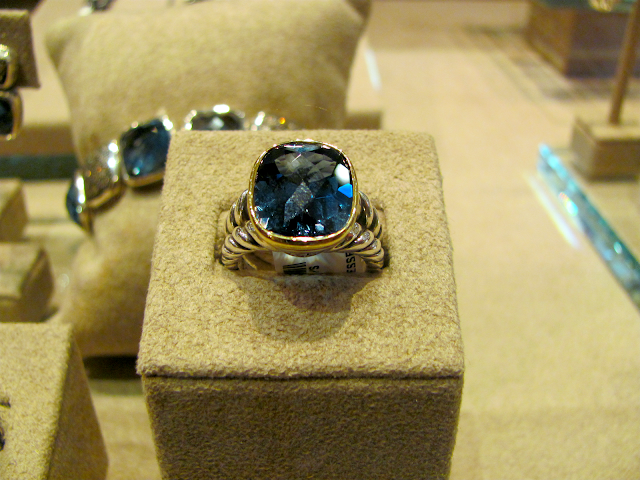 Follow David Yurman on Twitter or Like them on Facebook. You can keep up with Lux Bond and Green on Twitter and Facebook as well... I totally recommend you keeping an eye on both! What great coverage of the event! Yeah GIRL! So lovely meeting you!!! Look forward to seeing you again, soon!